Oh Healer, I love you. It may seem a bit rushed that he’s so affected by CYS, but looking at things from his point of view, it’s actually rather believable. He’s someone who’s seen nothing but the nasty side of the world and to find someone as genuine as her, regardless of whether or no she may be bait, is no doubt a brand new experience. The Clark Kent/Superman comparison is quite apt with these two, seeing how he swoops in like her own personal superhero, even when he should rightfully be running for his life. From holding her gently to asking her how many pills she needs, ugh can thing man get any more perfect? Not that he wasn’t mindful of his own safety, seeing how he prevented her from seeing his face. Though, I really think he should’ve been more careful during the fight. 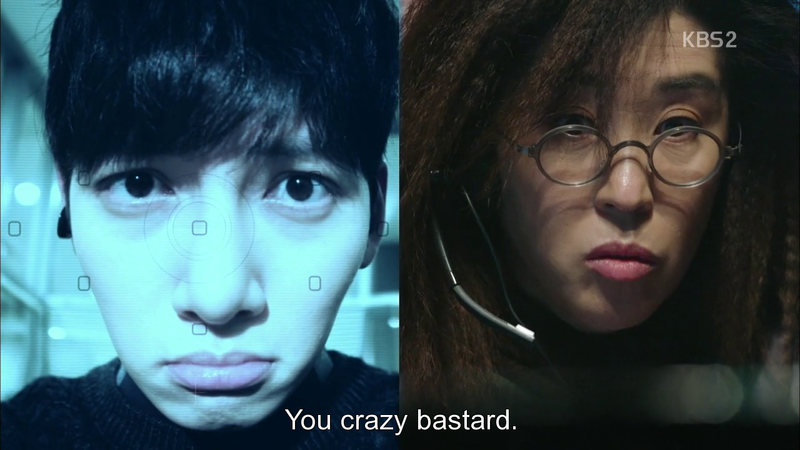 Things are getting dangerous for Healer as Hacker Ahjumma notes. Not only is SS Guard now aware that Healer appears to have a special interest in CYS’s welfare, but they’ve an easy access route to him. 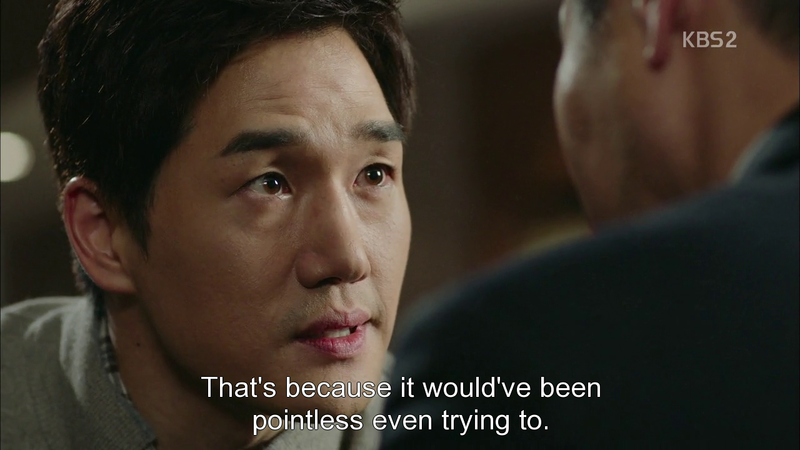 And here he is worrying about Yeong Shin’s safety instead. Honey, you sound a bit naïve, of course they’ll kill her. Not every night-courier has as many clear-cut rules as you do, as seeing what little rules you have, that’s saying something. Though it’s not like he’s solely motivated by his budding feelings. Boy hasn’t thrown out his brain, even if he’s gaining a heart. 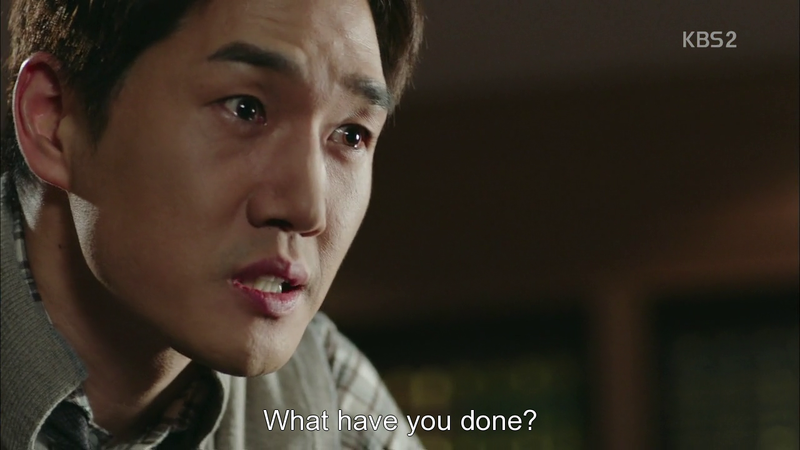 He needs to find out who set him up and just what connection Jae-Il Newspaper and CYS have to his parents. I do like that our characters don’t suddenly lose parts of themselves, or do a full 180 due to a love interest. Their intentions won’t be completely altruistic, there will always be some self-interest there. But that’s a good thing, it makes them much more relatable, and much, much more human and the sacrificial lambs we currently have running around Pinocchio. She draws him for some reason, and he’s curious and even a little fascinated by her. He’s never known what it’s like to jump into a fight you can’t win, and to see her go there so bravely is something he can’t help but respect, something that touches him deeply. 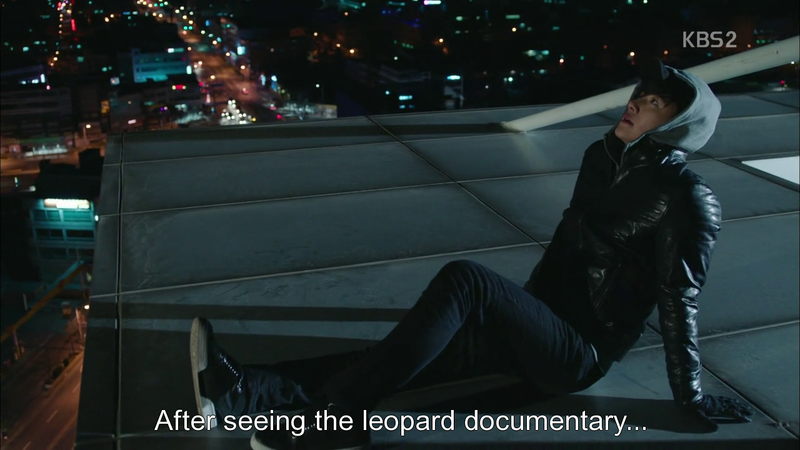 Just like that leopard. 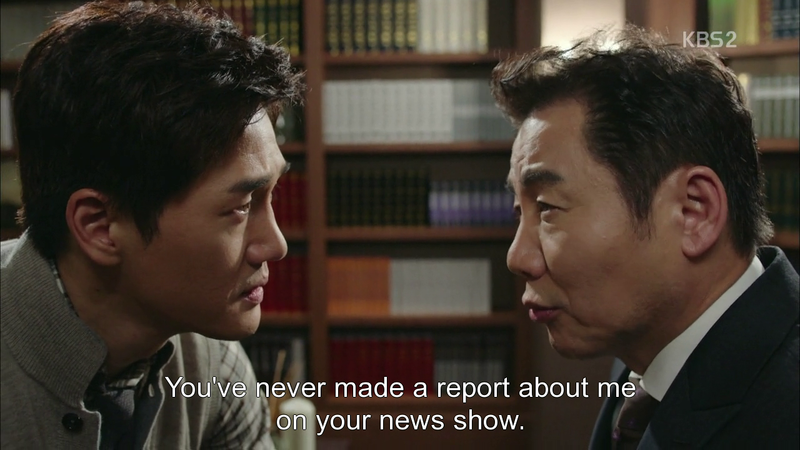 Remember when I said that KMH’s honestly was going to get him in trouble. Yeah, this was sort of what I meant. I understand that he’s trying ot find a way to break the news to her tactfully, but honestly, at this point, saying that use need to use tact is an understatement. Myung Hee clearly has severe, severe trauma, and there’s no proper way to slowly breach the subject. 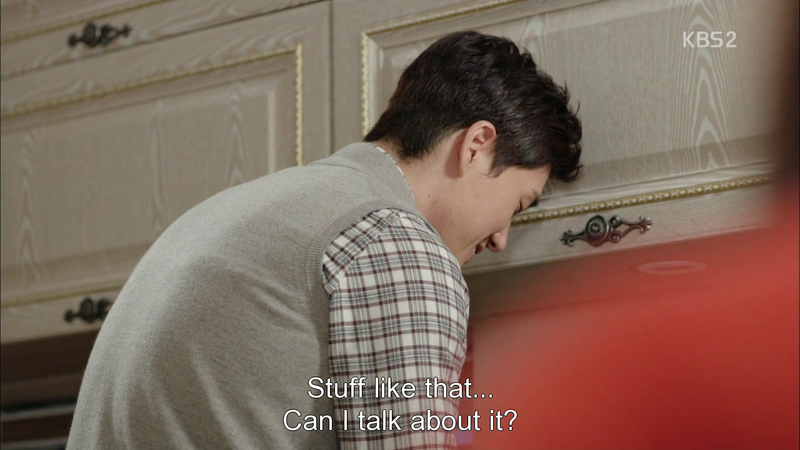 In fact, even just blurting out that Ji Han is alive would be better than slowly easing her into a topic that she obviously finds so torturous. He really didn’t mean to cause a seizure though. I feel sorry for them both. 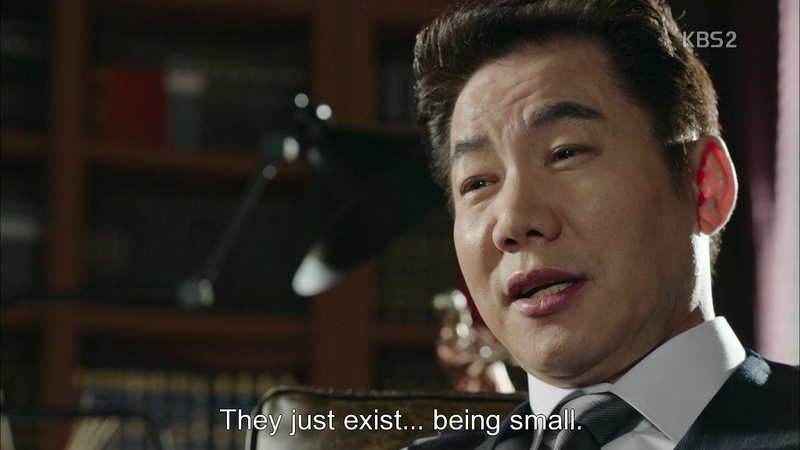 But Kim Moon Shik, I just want to throttle. Well, this is a rather interesting twist. 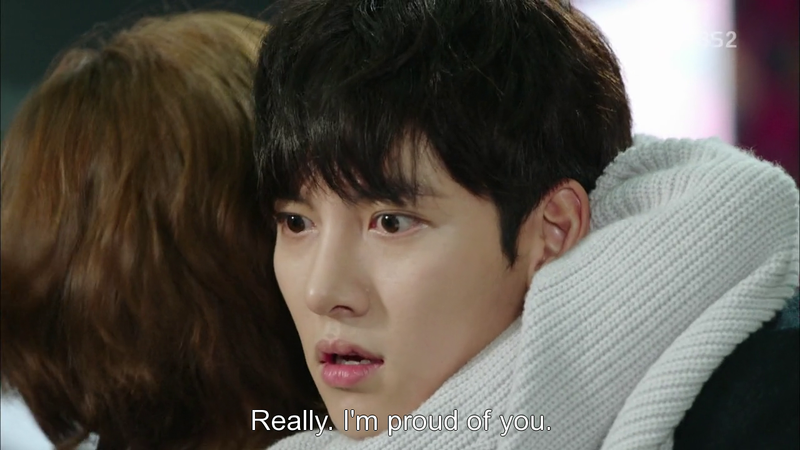 When KMH said that his sin was one of silent, I honestly expected him to have known that Ji Han was alive all these years, and to have hidden it from his brother and Myung Hee. However, he appears to have found out only two months ago after those lawyers informed him of the moving of the coffin. And upon finding that said coffin was empty, there’s doubt that his reporter instincts would have flared instantly. So that’s what prompted the search, and it more than explains the dark looks he’s been giving KMS. He suspects, but isn’t sure. Okay Evil Brother, just what the hell have you done? 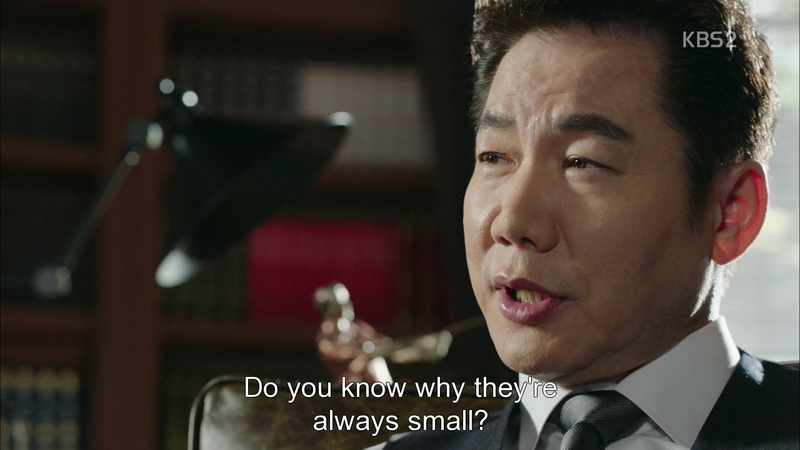 Kim Moon Shik all but admits to having known the coffin was empty. 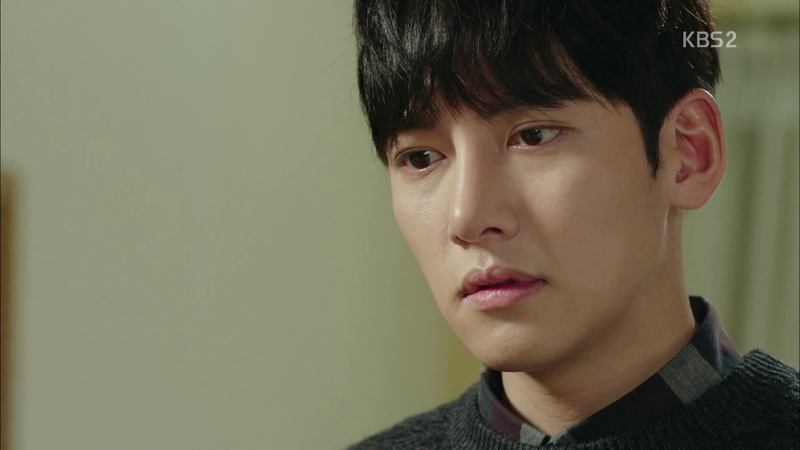 So just what the hell did he do to Ji Han? 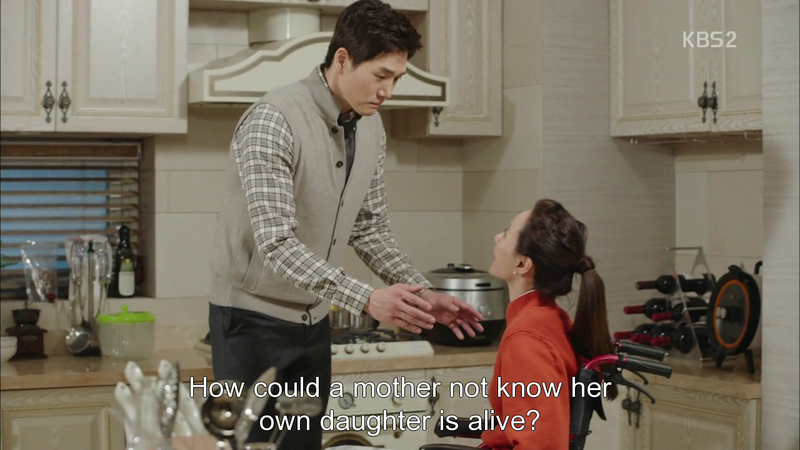 I love how KMH’s mind immediately jumped to her father’s death as well. Gosh, just how many people has KMS killed/ attempted to kill? Poor Moon Ho looks horrified. He may have imagined this levelf of despicableness from his brother’s but he definitely wasn’t hoping for it to be true. And what on earth was his brother’s motive? You married the girl I’ve been crushing on, so I’m going to murder you, and your daughter. Great, sounds great. We’ve a whole new level of crazy over here. And come to think of it, wouldn’t the camera in his brother’s room have captured the entirety of that exchange? 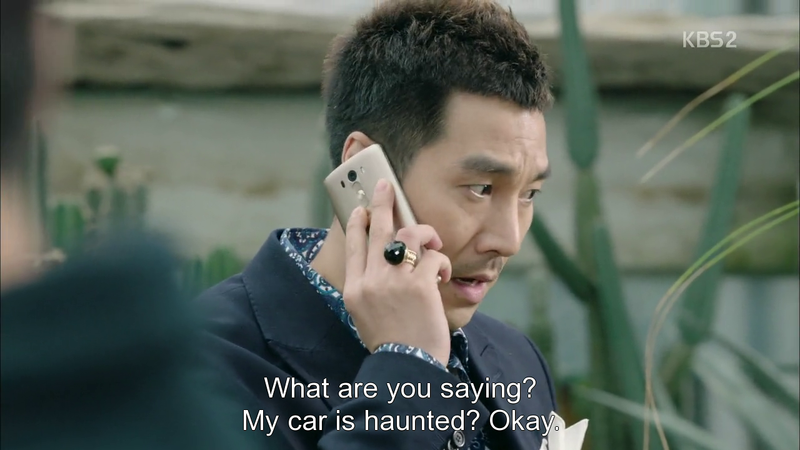 Imagine how useful that would be, KMH. Surely you could release that material? On the other hand, his brother doesn’t seem to care and I suppose that makes sense seeing that KMH isn’t attacking him. Which is also odd. Why hasn’t KMH been directing his brand of justice towards his brother? What’s stopping him? 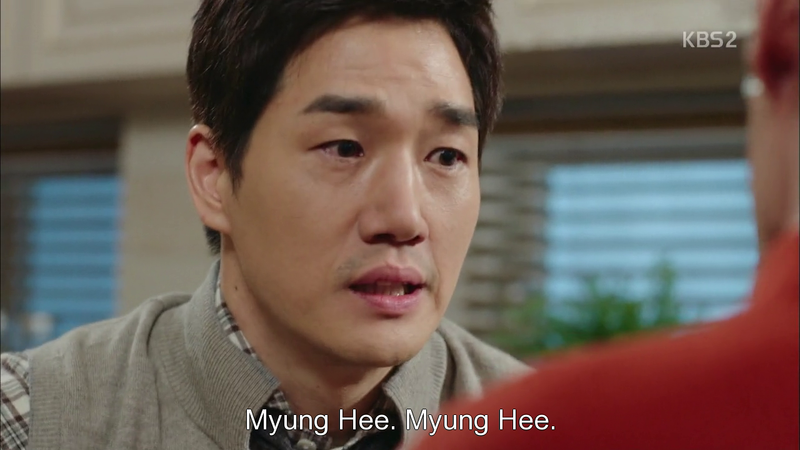 Myung Hee? 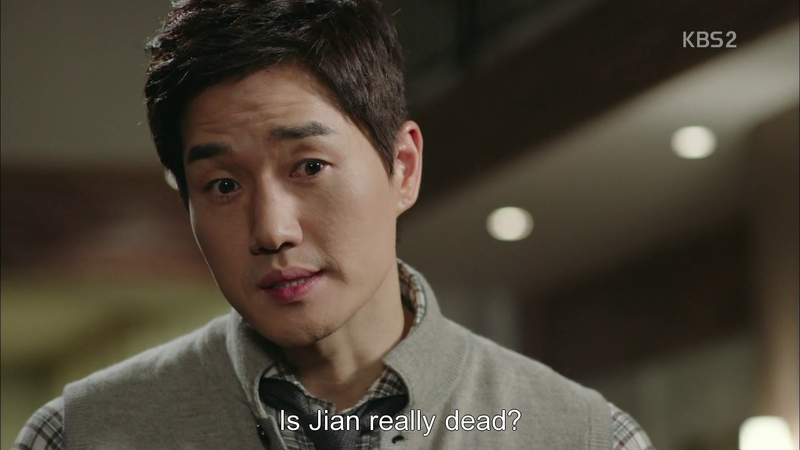 Surely not Ji Han, seeing that he only learned that she was alive two months ago and had more than enough time to bring his brother down prior to then. 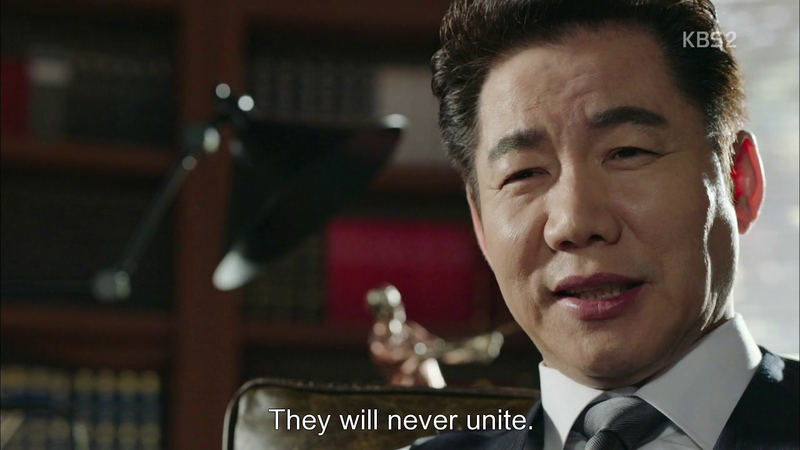 I suppose his brother could make things very difficult for him, should he try, seeing that his brother’s influence was all that was keeping Moon Ho at his present post (Director Kang honestly has no choice in the matter no matter how much she tries). However, hasn’t that changed? Seeing the epic way he handed in his resignation, surely his brother no longer has a hold over him even at his workplace. Well, that resignation took balls. As if I needed more reasons to love KMH. Why do I fell like Someday Daily is about to get a new reporter? I found this rather interesting as well. I think you’re wrong there KMS. One could argue that it’s because they’ve never united that they’ve managed to stay alive. Larger groups are far more noticeable, and people like you would wipe them out under some false pretense or the other. Yet, as divided as they are, they’re able to maintain their middling websites and podcasts that manage to fight back, even weakly against the bureaucracy that oppresses all nations. Of course, that makes them more vulnerable to attack, but really, isn’t the result the same either way? You get hunted down so long as you aren’t a part of the majority. That’s democracy for you. Can we please talk about that hug? 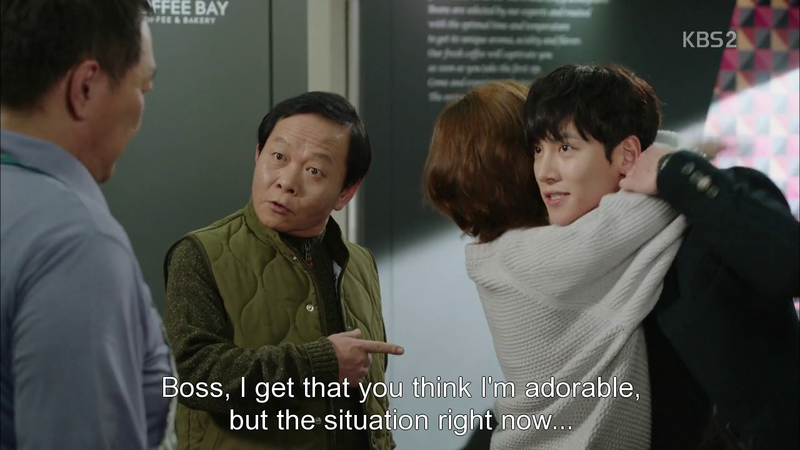 Love the pouty apologetic faces, Bong Soo was making at Yeong Shin, and I love how she just hugged him like he was a teddy bear or a kid that needed comforting, while her dad’s like O.O And this just had to be the best part. It’s so cute that he looks at the way she’s treating his hand with a mixture of exasperation and helpless attraction. 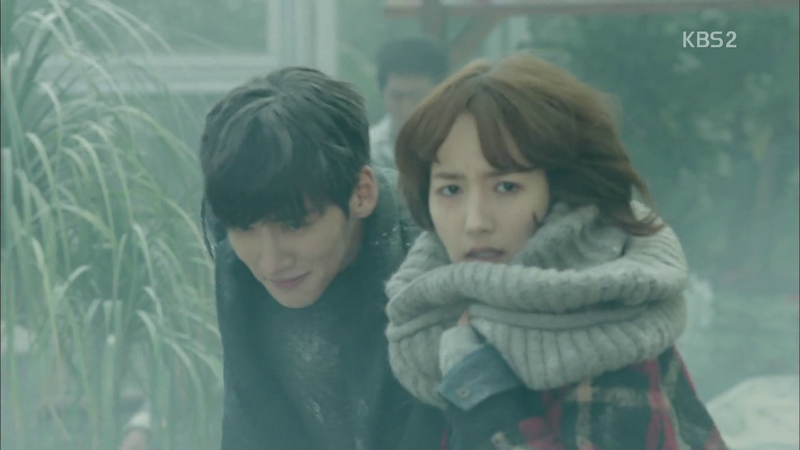 But where this scene stole my heart was when the soy-cooked potatoes came out. Seeing that it was JH’s favourite dish as a child, I have no doubt that the two of them used to share it as children. And it’s adorable how she still remembers how to make it. It’s a honestly heartwarming how he sits at that table to a meal that doesn’t consist of microwaved rice, pizza or beer, after what seems like years. And the way he simply said that he wasn’t used to so many dishes broke my heart, as it wasn’t even his Bong Soo persona speaking them, yet somehow the two were never more alike (aww, you lost puppy). This drama honestly has one of the best soundtracks ever. It captures his ambiance of struggle and hope, and such warmth, it’s honestly just brilliant. 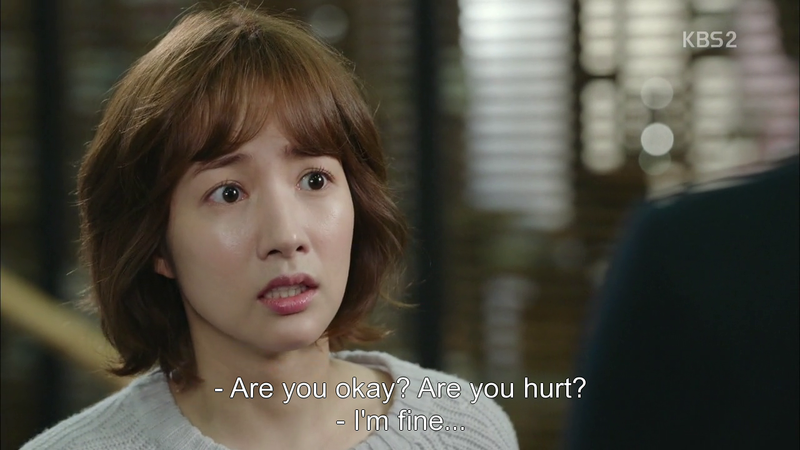 The last drama I can remember making me feel this way was Angel Eyes. 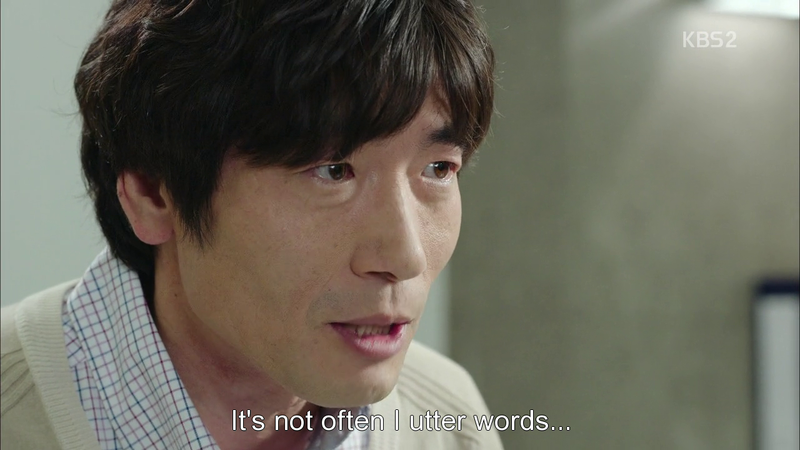 I love the gentle way that violin underscores the entire OST, and the fact that it’s in English, just like the Run to You OST from Angel Eyes only makes me happier. And who loves Newspaper Boss! I do! We’re gearing up for a really good fight here. I can’t wait to see how this goes down. 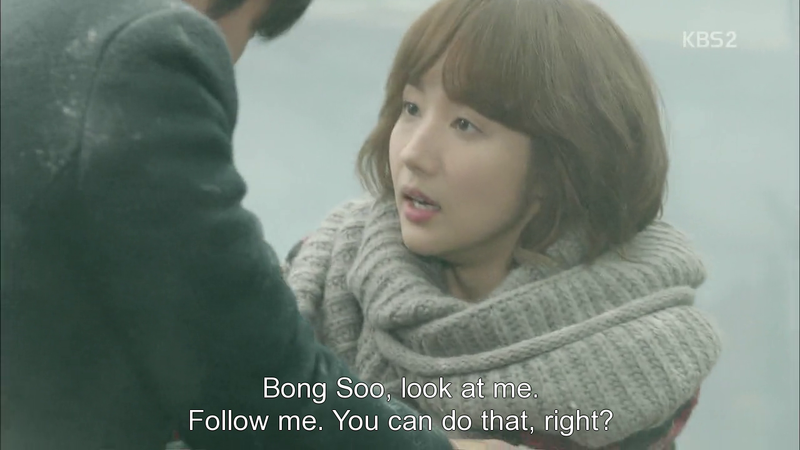 But let’s move back to Healer. 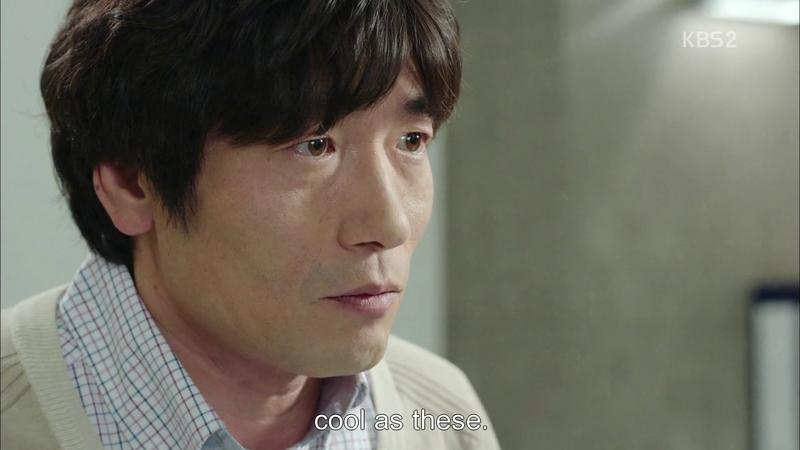 So wait, he’s never seen Hacker’s Ahjumma’s face? They’ve never met? Now I’m even more curious as to how these two began to work together. 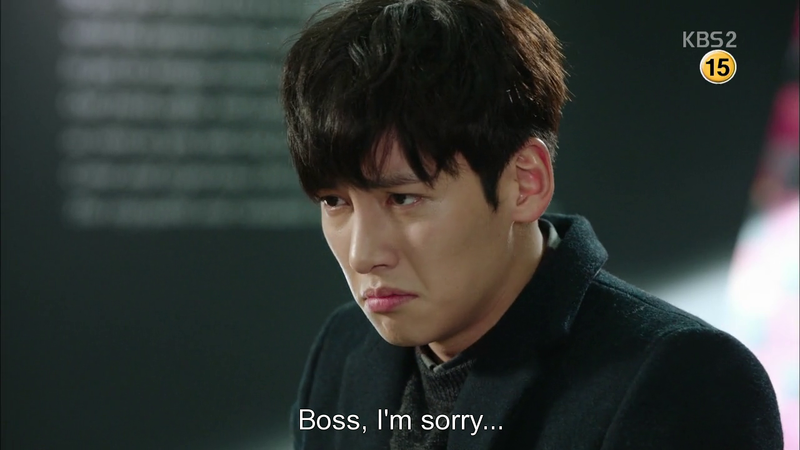 And can we please address that aegyo? Excuse me while I die. 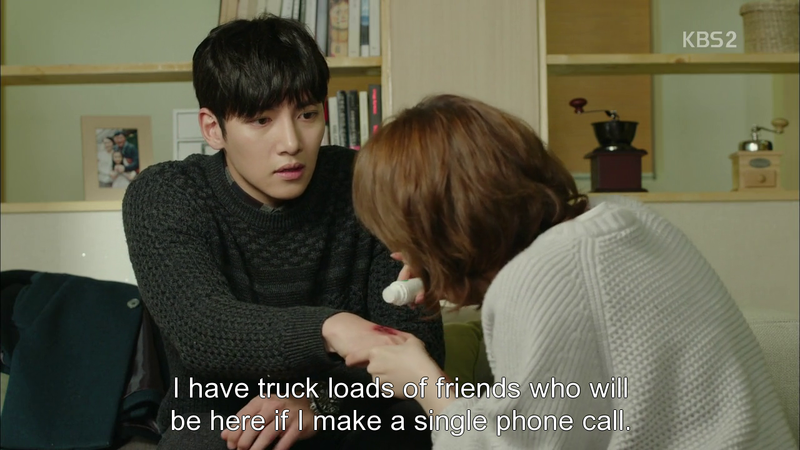 Look Ha Woo Jin, you’re going to have to step up your game, Healer’s getting a bit too close to my heart already. Wait, what? GENERATIONS OF HEALERS? 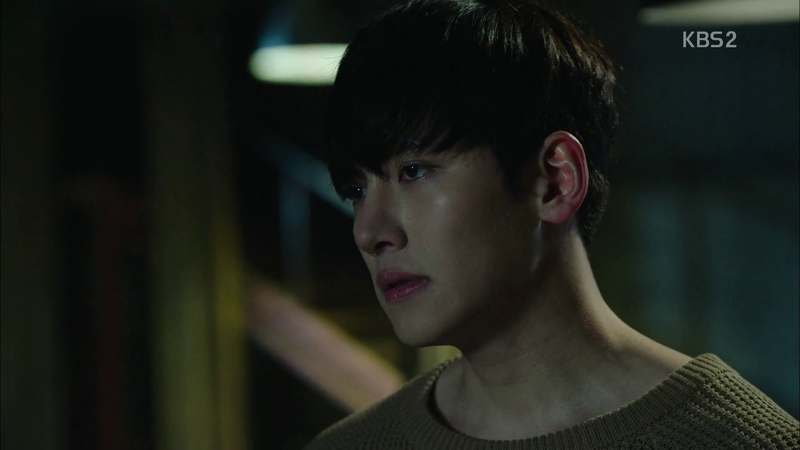 So Healer has a master (who appears to be quite the pervert and has a laugh to rival Hacker Ahjumma’s) who groomed him for the job. And this master is the final one of the five in the photograph. And there are no other apprentices. And did you just say…REPLACE THE HEALER? 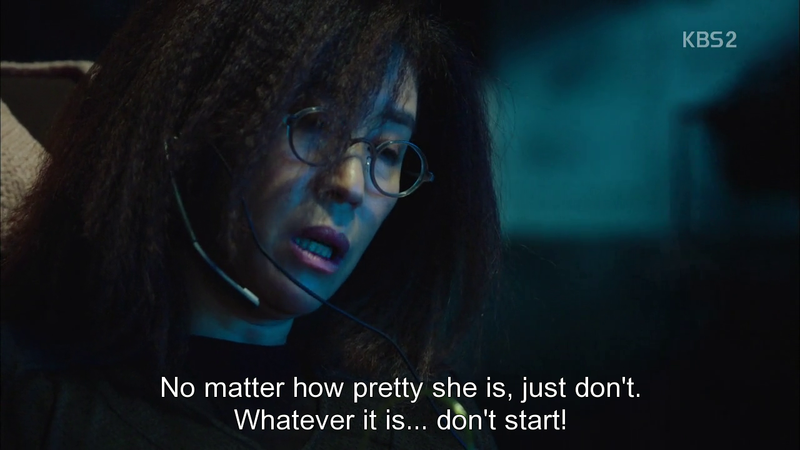 Look here, Hacker Ahjumma. I love you to bits, but you can’t replace my Healer. Come to think of it, what happens when you get replaced? 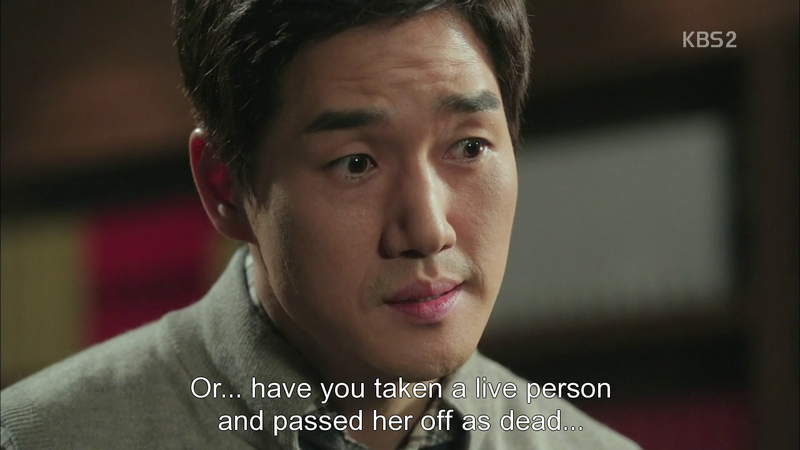 Are they going to kill SJH? WHAT? So does the job of the Healer require the person to enjoy complete isolation then? No familial relationships, no romantic ones either? 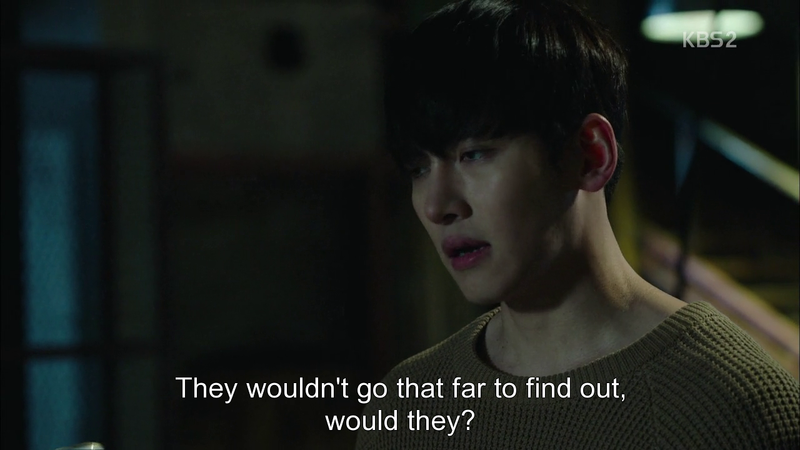 That would certainly explain why Healer rarely see his mother, but why would he choose such a life? 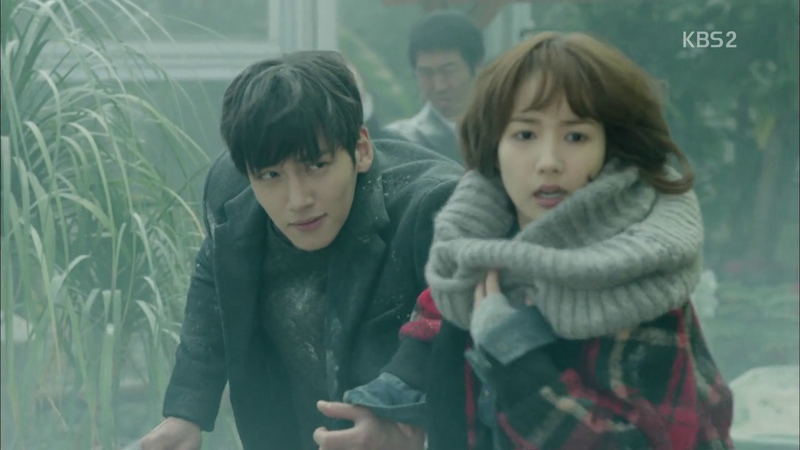 Things get even more interesting when KMS mentions that he recognizes the name ‘Healer’. 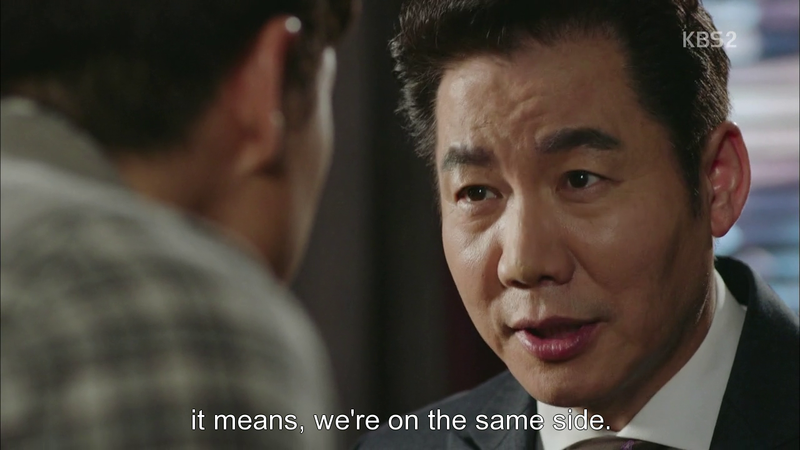 So there’s definitely been a generation of Healer, and he’s definitely aware that one of his friends was a Healer. The question is, what’s he going to do about it? SO MANY QUESTIONS!! I do love how SJH works though. 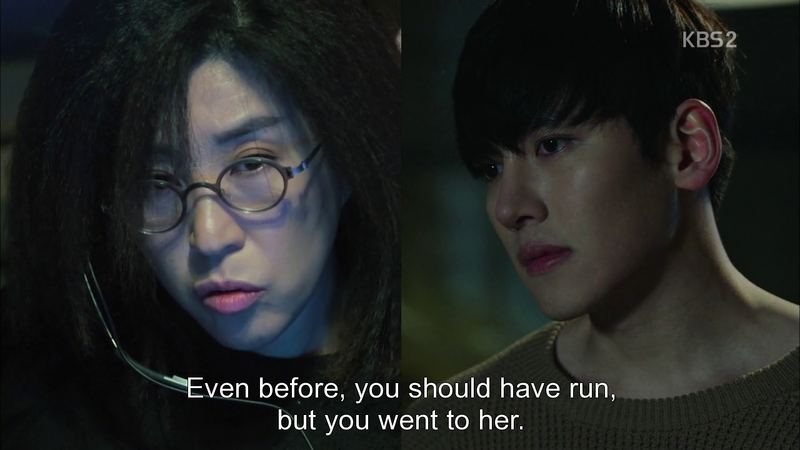 He has this way of manipulating the situation such that CYS believes it to have been all luck when escaping, but there’s JH grinning behind her, making sure her every move works with his plan. 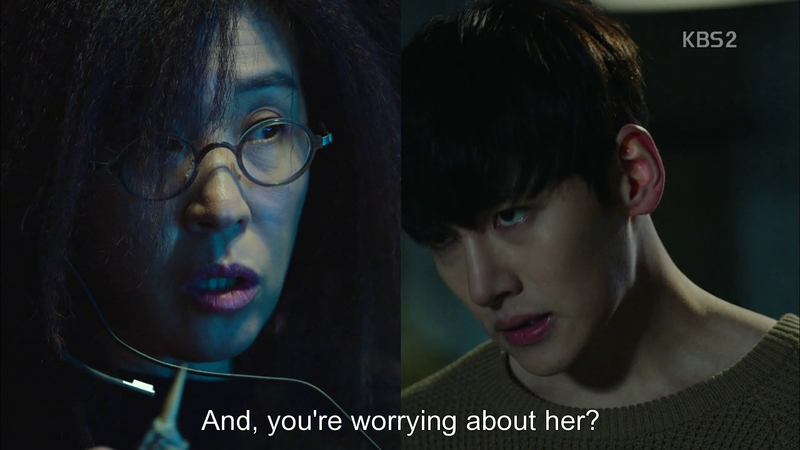 I am enjoying the duality of the Bong Soo persona with his regular self, though I’m incredibly eager for her to figure out who it is (but will that result in his replacement? Noo!) 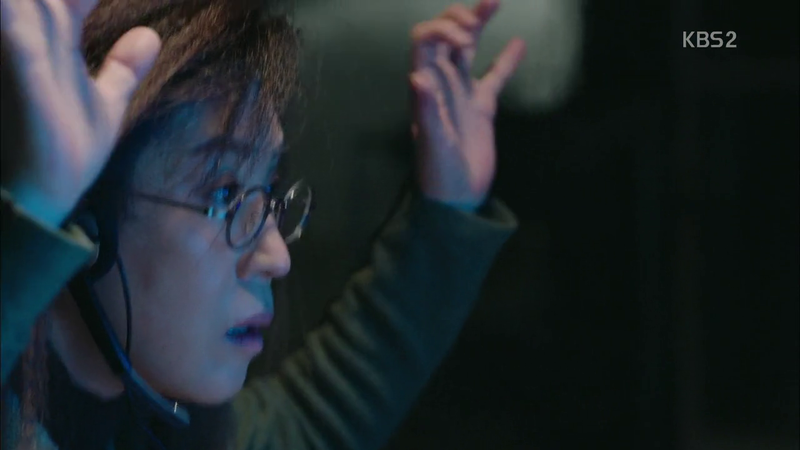 Bong Soo almost brings out more bravery in Yeong Shin as she sees that there’s another person she needs to be responsible for and she definitely won’t let him down. And JH can’t help but feel drawn to that. It’s in that look of incredulity he gives her after confronting the seedy boss and trying to protect her from the sight of violence. She keep pushing him away, wanting to see, not to torture herself, but to know just what this unnamed woman is suffering because of her. She won’t look away from that suffering, regardless of what awful memories it’s dredging up and I love her all the more for it. 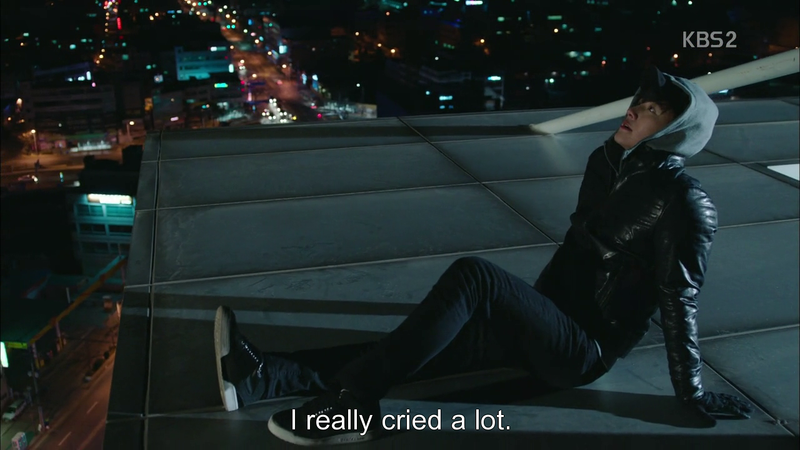 And even when fleeing, she doesn’t stop trying to protect him, asking if he’s okay, telling him to trust her, and doing her best to get him out of there safely. 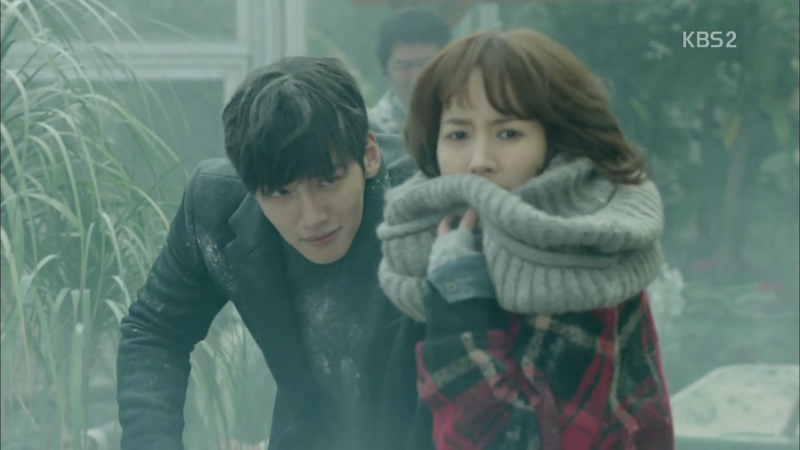 And JH can’t help feeling a little proud of her fortitude after all that’s happened (as well as amused at the general situation), as seen in the smile he shoots in her direction while they run away. And speaking of memories, good heavens, just what happened to her as a child? And was it KMS who ordered it done? Or did he do it himself? Plus how did she escape? This show provides more questions than answers really, and I actually like that. It’s really well done, with layer after layer being peeled off so well per episode that I can’t wait for more. This is what I call a well-done tangled web. On some levels, we’re finding out new information along with the characters on others, the characters know more than we do, and it’s up to us to figure it out. Gosh, how awesome!